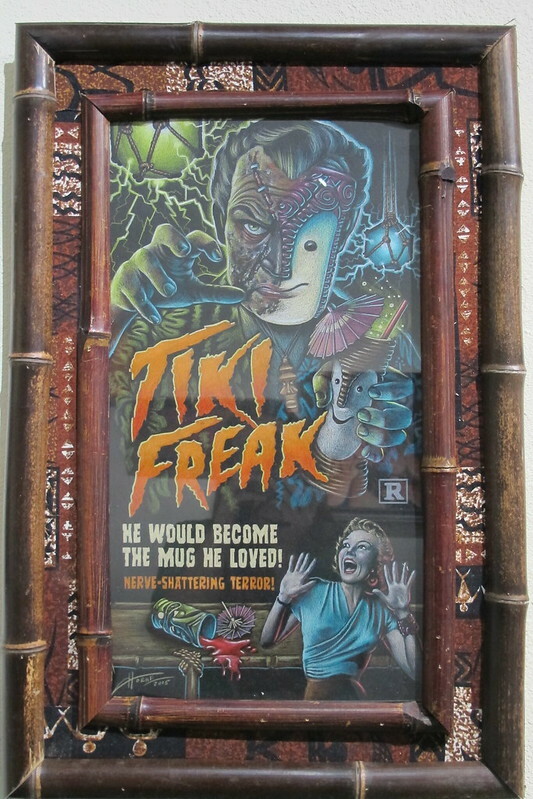 Tiki Farm is the king of modern tiki mug manufacturing. 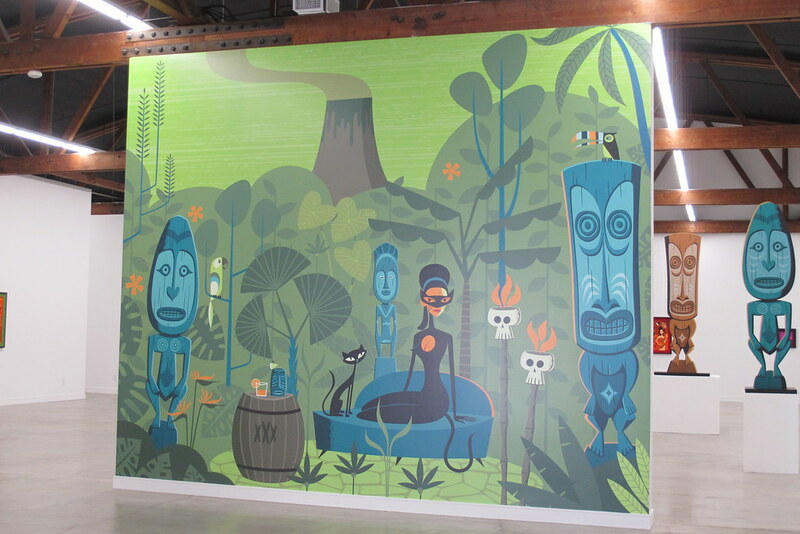 For 15 years, founder Holden Westland and his team have collaborated with super-talented artists to create more than 2,000 designs. 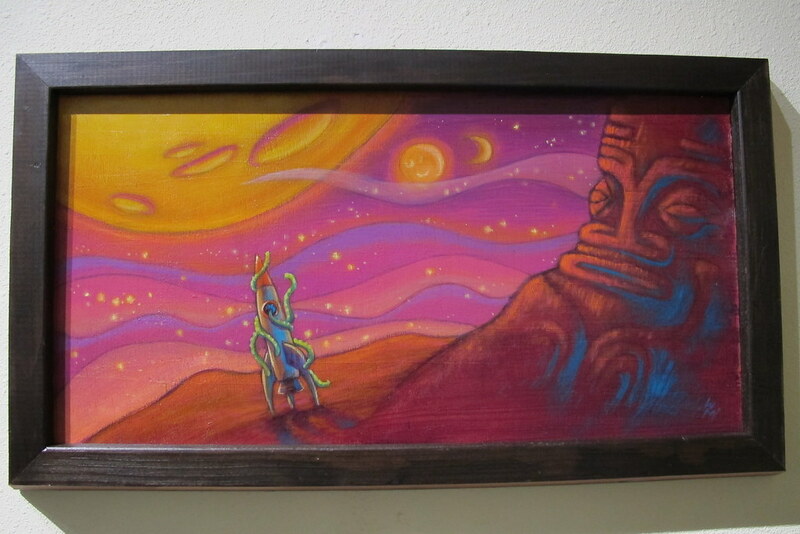 La Luz de Jesus gallery in Los Angeles is hosting an exhibition of mugs along with art from Tom Laura aka “BigToe,” Scott “Flounder” Scheidly, Doug Horne and Ken Ruzic. 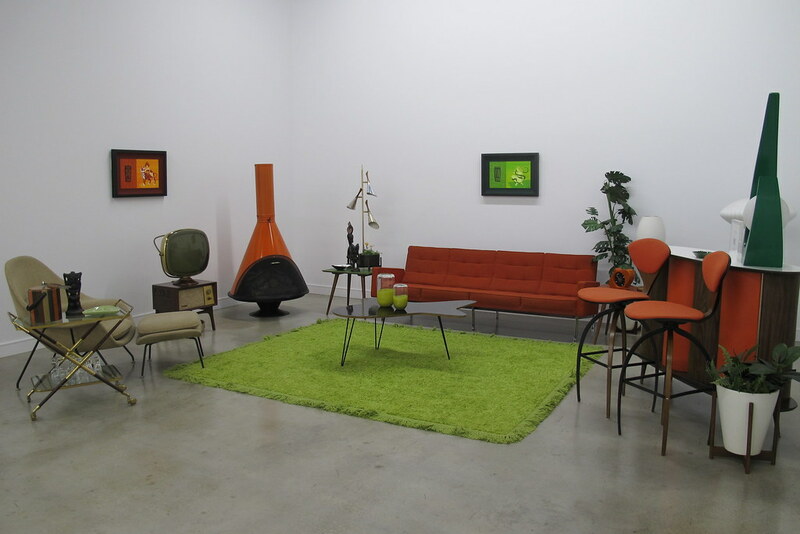 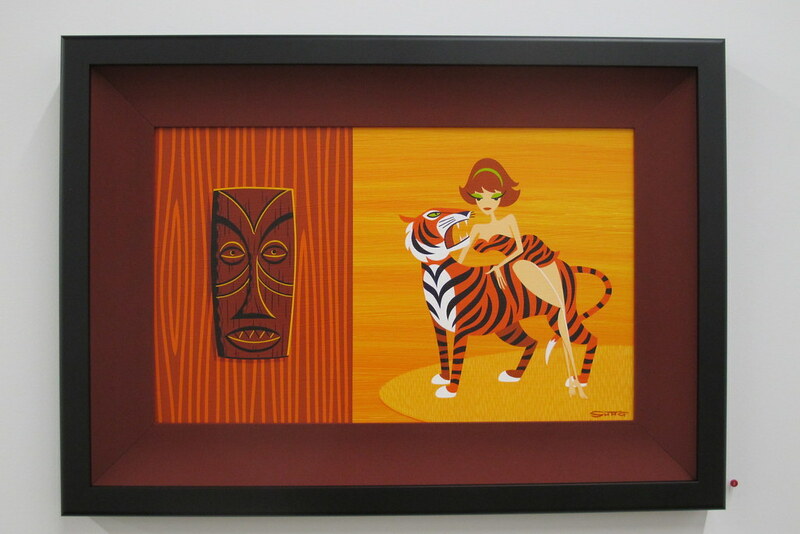 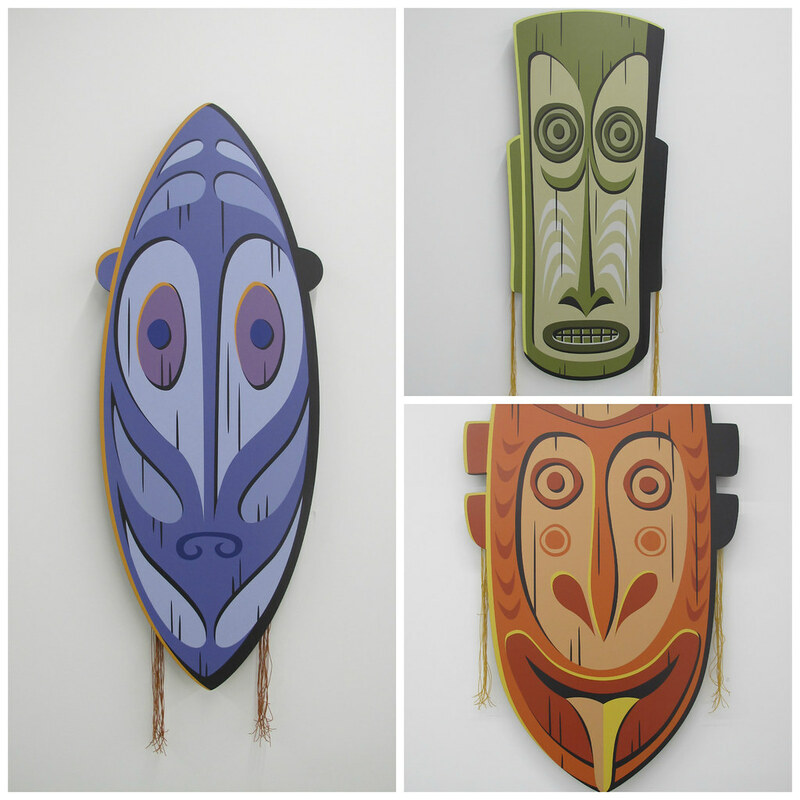 There’s also a retro-futuristic solo show, “Yesterday, Today and Tomorrow,” from Michelle Bickford. 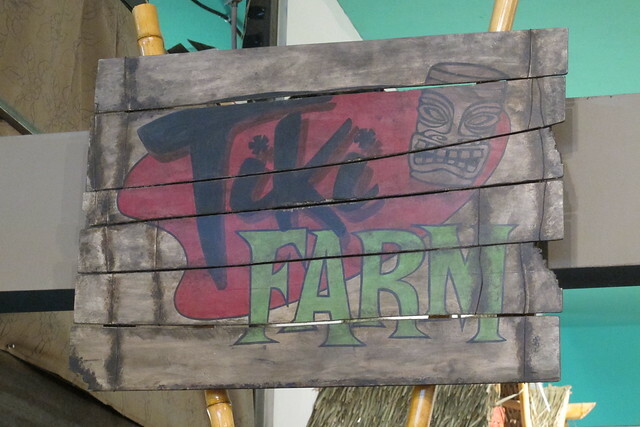 While the 10th anniversary exhibition rounded up examples of practically every mug Tiki Farm ever produced, this time around the display features 500 of the “most important and coveted selections.” Bamboo Ben customized the eight cases of shelves with bamboo and thatch A-frames. 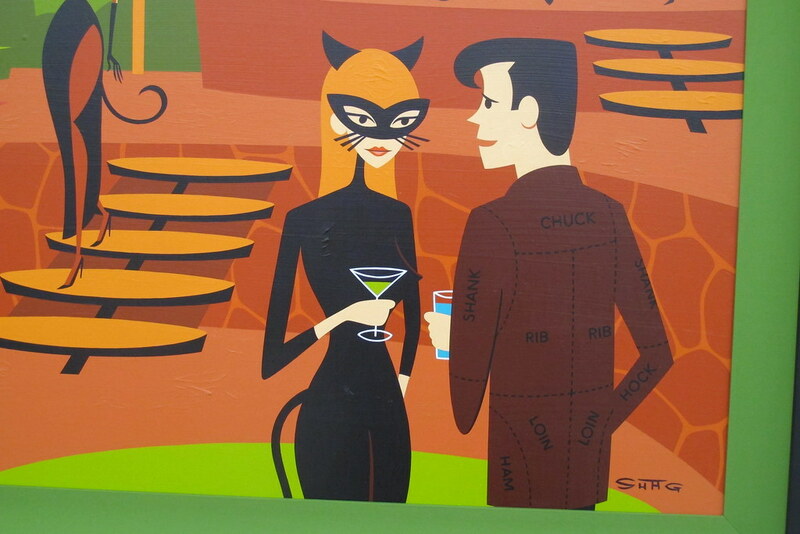 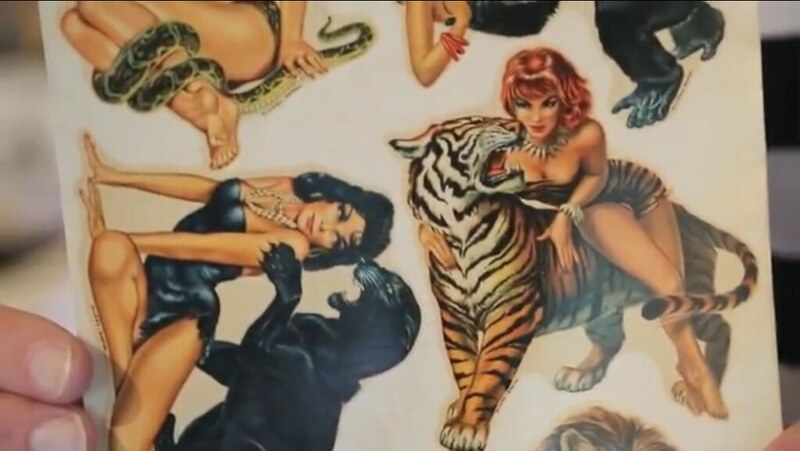 I’m pretty content with my collection, but this exhibit is full of temptations. 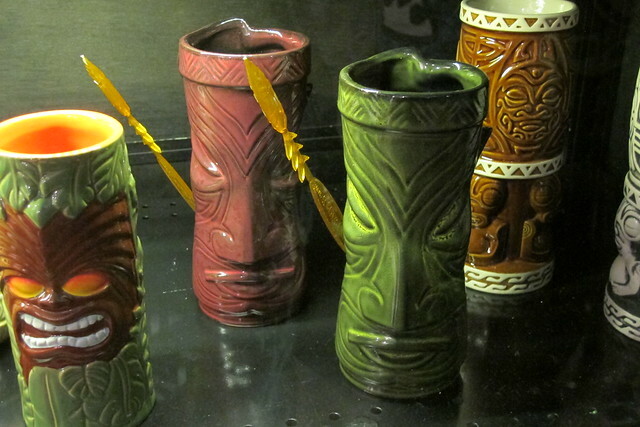 This stately mug (by The Pizz) for the recently re-opened Clifton’s Cafeteria caught my eye. 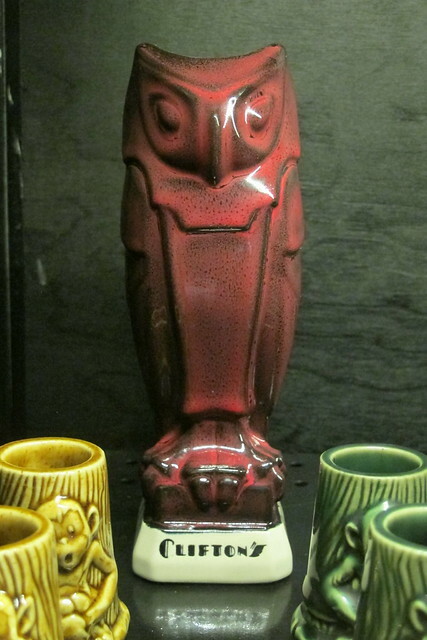 It kind of reminds me of the Maltese Falcon … except it’s an owl. 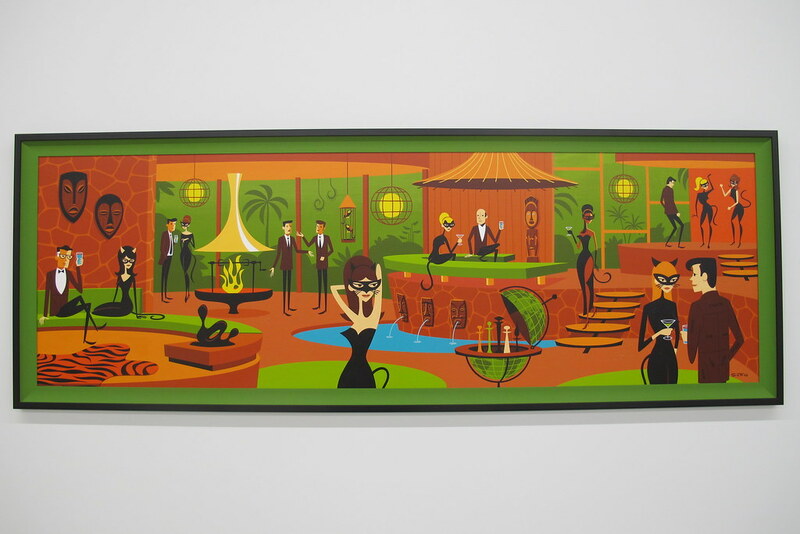 I actually ended up visiting that downtown LA landmark the same weekend, but unfortunately they’re out of stock of this style — I hope they get more soon! 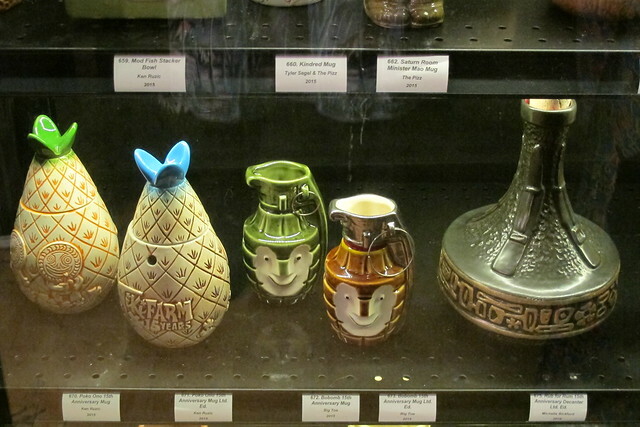 Each of the featured artists also designed new mugs in honor of Tiki Farm’s 15th anniversary, including Ken Ruzic’s Poko Ono Pineapple Mug, BigToe’s Bobomb (the iconic Tiki Bob transformed into a hand grenade complete with a pin) and the Rub for Rum Easter Island Tiki Decanter ($75) by Michelle Bickford. 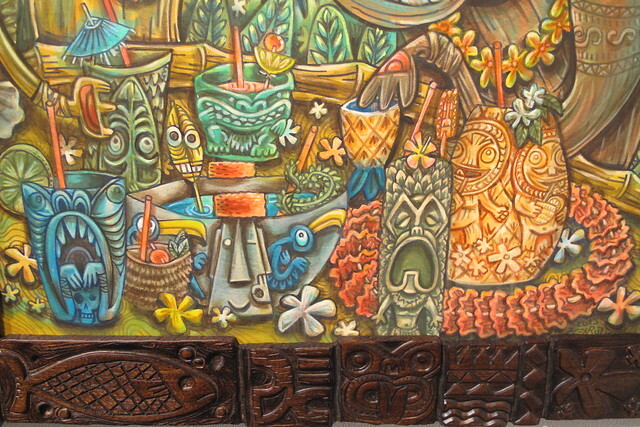 In the middle is Doug Horne’s Tiki Farm Temple Mug (with holders on the back for Tiki Farm’s anniversary swizzle sticks) and on the right is Flounder’s Nari Rani Marquesan Mug. 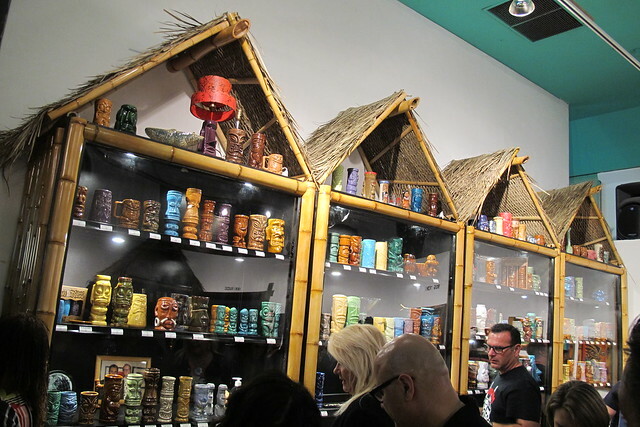 There were limited edition glazes ($50 each) released at the event — a few are still available on Soap Plant’s website — and Tiki Farm just made the other versions (priced around $20) available for order. 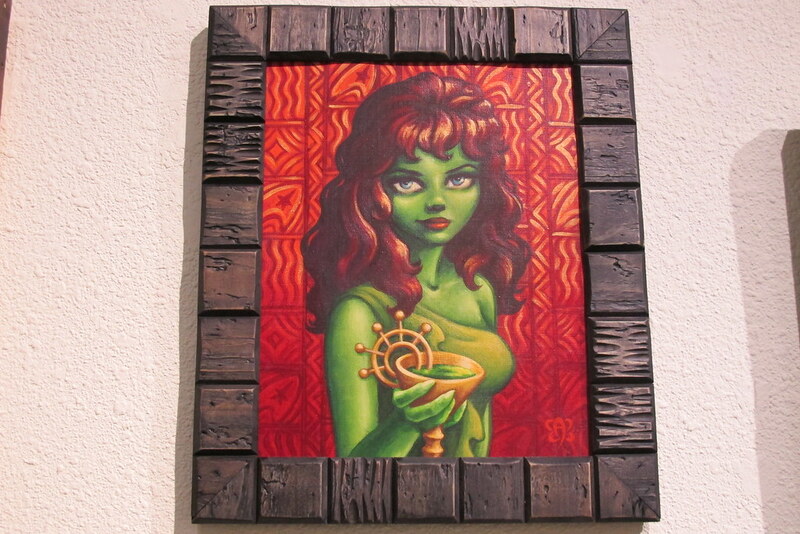 The artists even incorporated their mug designs into the paintings, as you can see in this close-up look at Ken Ruzic’s “Too Much Information.” I love the whimsical style and incredible details, especially paired with this carved frame by Derek Weaver. 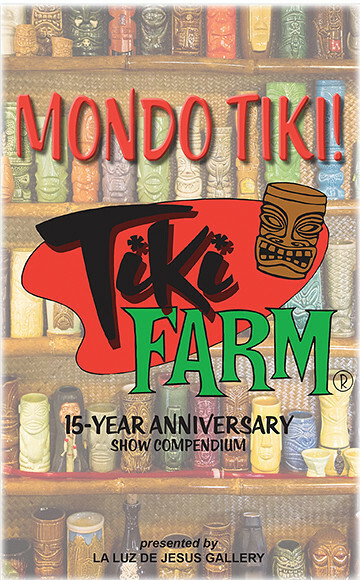 Tiki Farm also made a 40-page booklet ($5) listing all the designs created since 2000, plus some photos and little anecdotes about the process. 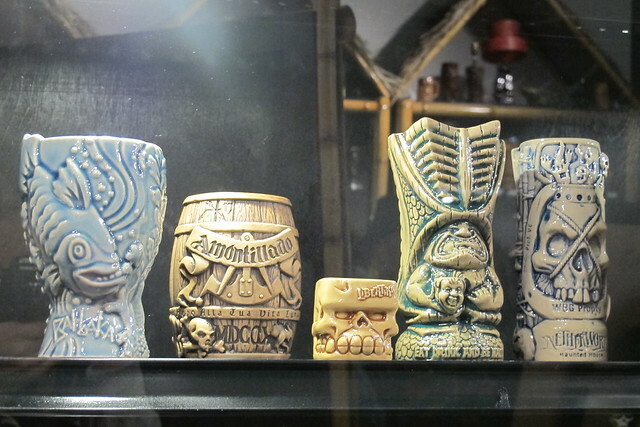 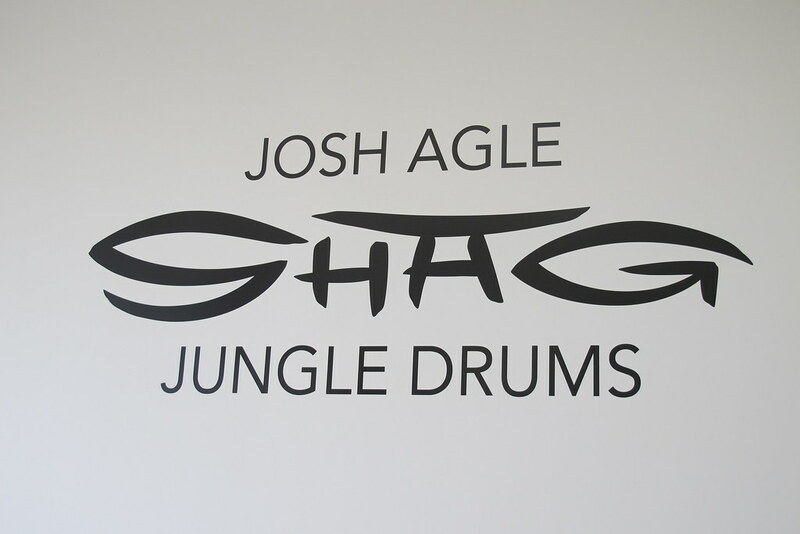 We also get a sneak peek at some mugs that are in development. 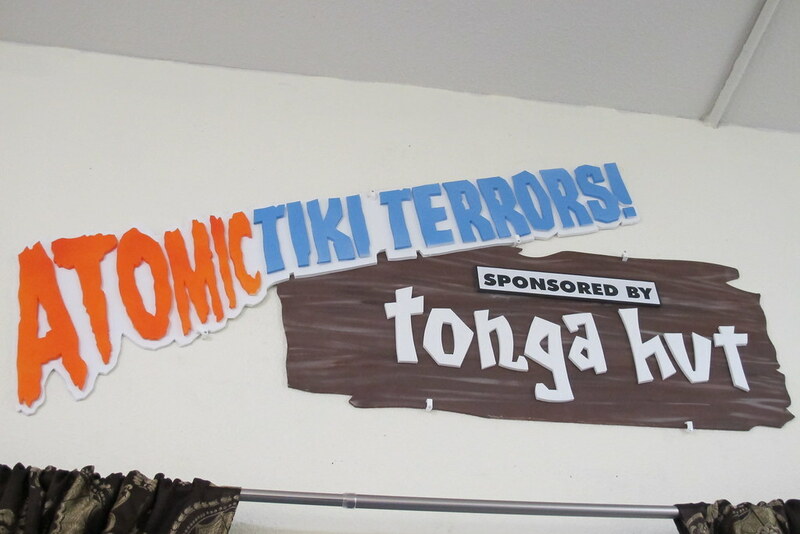 There’s some exciting stuff in the works, like a 60th anniversary mug for Oceanic Arts, two new designs for Tiki-Ti, a mug for Tiki Tolteca in New Orleans and a rum barrel/bulldog for Idle Hour in North Hollywood. 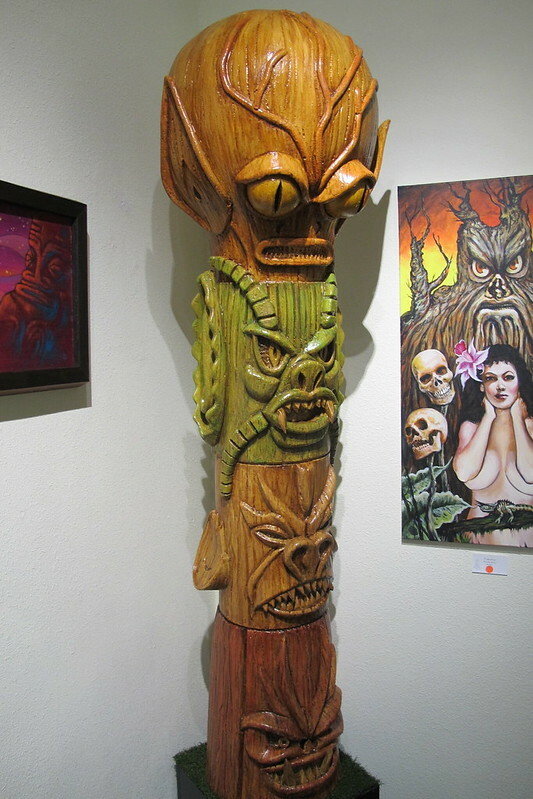 Mondo Tiki! 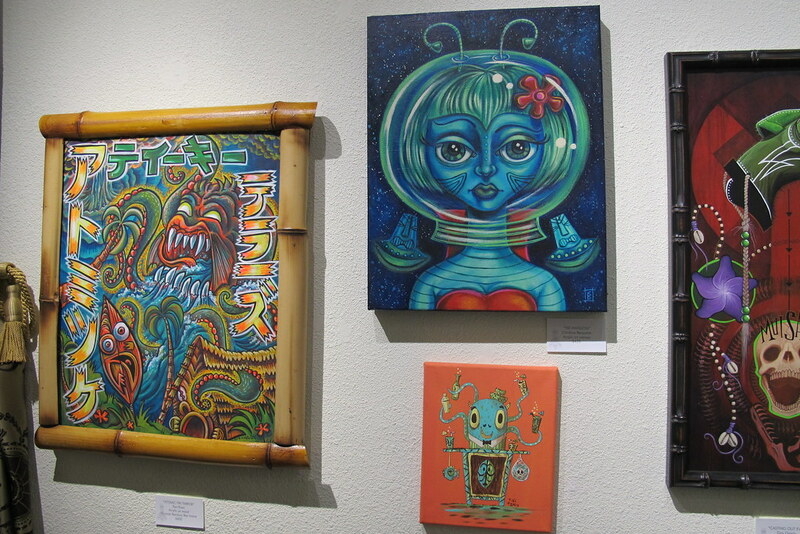 is on view until November 29th at La Luz de Jesus. 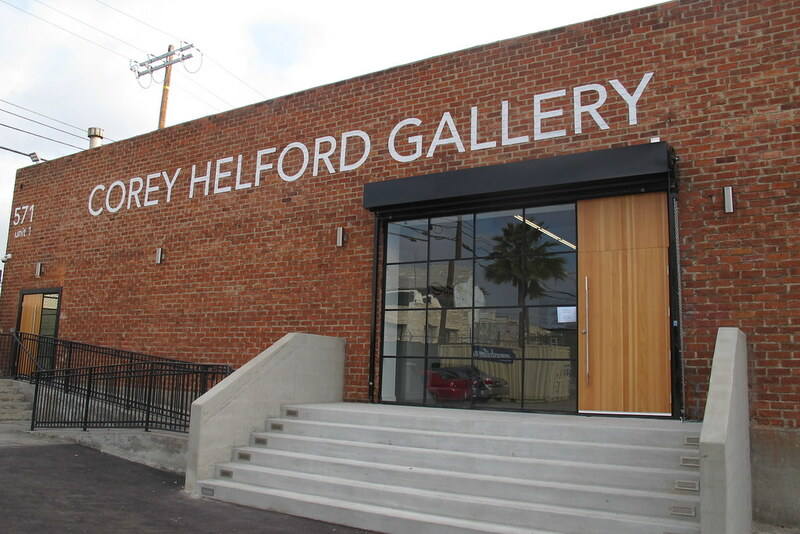 On Saturday, November 28th, Holden, BigToe and Ken will do a “docent tour” from 2 p.m.-4 p.m. to discuss the mugs and art and take questions. 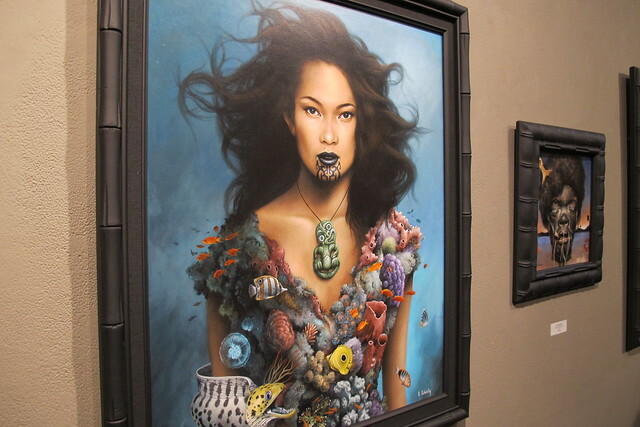 You can also see all the art (like Flounder’s gorgeous “Sea Goddess” pictured here) on the website for the gallery.